Weekly Market Analysis: November 16th to 20th 2015 - Find the best Binary Options Brokers, Binary Options Bonuses, Binary Options Signals, Binary Options Software and everything Binary Options related on Binary Options Directory! Weekly Analysis: The pair had a choppy week and most of the moves in one direction were quickly reversed. The speeches of European and U.S. key bankers added more confusion and overall the market reversed all directional moves. 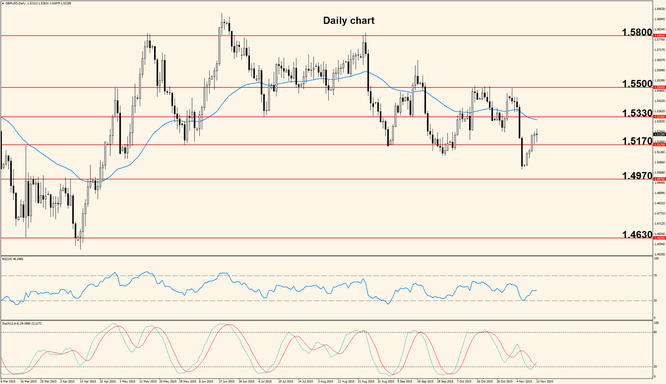 The resistance at 1.0820 proved strong last week and rejected price lower so we may see downwards price action but it is important to note that the candles corresponding to the last four days have long wicks in their lower side. This is a sign of bullish pressure and on top of that, the Stochastic is oversold for a relatively long time; also the Relative Strength Index is just exiting oversold territory. These signs suggest that bullish price action will soon follow, with the first barrier being 1.0820; to the downside support is still located at 1.0660, followed by 1.0500. Monday the Final version of the European Consumer Price Index (CPI) is released, showing fluctuations in inflation across the Eurozone and the same day, ECB President Mario Draghi will deliver a speech in Madrid. Tuesday the German ZEW Economic Sentiment survey comes out but the highlight of the day will be the release of the U.S. CPI and CORE version of the same indicator. Since the Fed made it clear that inflation is crucial in their decision regarding the interest rate, the release will probably have a stronger impact than usual, with higher numbers strengthening the US Dollar. Wednesday’s main event is the release of the FOMC Meeting Minutes which will offer insights into the Fed’s latest meeting and into the reasons that made them keep the interest rate unchanged. Thursday the greenback will be affected by the Philly Fed Manufacturing Index and the European calendar is light, but the trading week ends Friday with another speech of the ECB President Draghi, this time in Frankfurt, at the Euro Finance week. As always, these speeches should be treated with caution because strong and often irregular movement can occur. 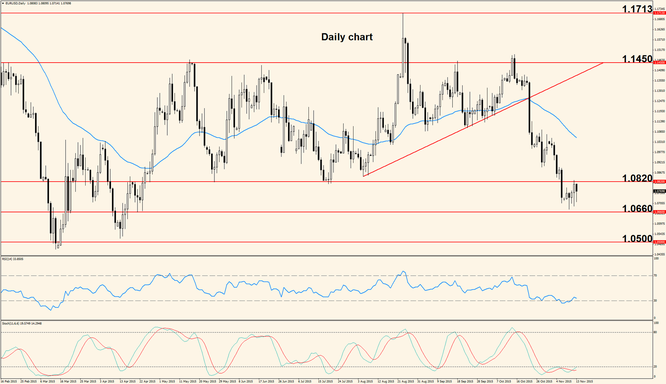 The Pound started last week strong but bullish momentum faded towards the end of the week; however, the pair is now trading above previous resistance and the bears have lost short term control. The pair is still moving below the 50 days Exponential Moving Average and the last two candles have wicks in their upper and lower parts which suggests indecision but also that bulls are starting to fade away. On the other hand, the oscillators are starting to move up so we may see further upside action which can take price into the 50 EMA where a bounce lower is likely to occur. Two very important announcements will affect the Pound this week: Tuesday the British Consumer Price Index is released, offering a status of inflation in the United Kingdom and Thursday the Retail Sales come out. Considering that sales made at retail levels account for a major part of overall economic activity, higher numbers usually strengthen the Pound. Throughout the week the pair will be affected by the U.S. economic data as well.